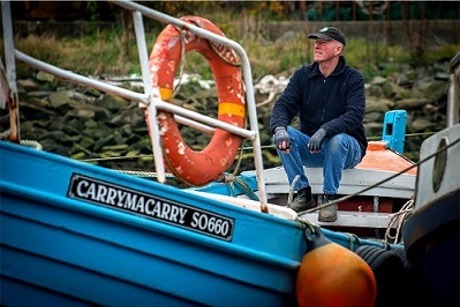 A performance of 'Foyle Punt' which tells the story of Philip McDonald, a boat builder from Greencastle will take place next Wednesday, 18 July at 8.30pm at the Prehen Boathouse in Derry. The production is presented using an eclectic mix of storytelling and narrative alongside songs and music performed by Libyan-born Irish singer Farah Elle and stories gathered by the ‘Change of Address Collective’. 'Foyle Punt' explores the changing and increasingly difficult way of life for craftspeople in rural artisan industries in Ireland through the story of the McDonald family history. The Foyle Maritime Festival taking place in Derry from 14-22 July, provides the perfect setting to showcase this experimental production that explores the changing life of boat-building and the challenges faced by seaside communities in the North West. A performance of 'Foyle Punt' will take place next Wednesday, 18 July at 8.30pm at the Prehen Boathouse in Derry. Tickets for this must-see production, priced £12 for general admission or £10 concessionary, are available from the Guildhall reception or online at www.foylemaritimefestival.com . The public are asked to note that the performance lasts for one hour and takes place both inside and outside the boathouse so they should dress accordingly. Facilities are available for all attending and the event is wheelchair friendly. The Foyle Maritime Festival celebrations will get into full swing on Saturday July 14th, continuing to Sunday July 22nd with a wide array of activities on land and water. The main highlight of the festival will be the Showcase Voyages and Parade of Light event on the Friday night, June 20th which will be a spectacular outdoor finale event on the Foyle from 9 pm to 11pm, before the fleet depart in a magnificent Parade of Sail on Sunday 22 July at 1pm.